The tiger is a potent symbol across Asia and in many cultures. It has since been a fixture of tattooing in especially in India, Malaysia, Burma, China, Thailand, Indonesia, Japan and Cambodia. The tiger symbol is associated with power, passion, ferocity and sensuality. In addition to these it represents beauty and speed, cruelty and wrath and its appearance in dream is usually a sign of new power or passion that has awakened within an individual. In Asia the tiger is associated with power and mightiness of kings. This position is similar to those of Lions found in the Middle East and Europe. Koreans on the other hand named the tiger the King of the Animals. In India, god Shiva was seen in the aspect of the destroyer and was always depicted as wearing a tiger skin and riding on a tiger. 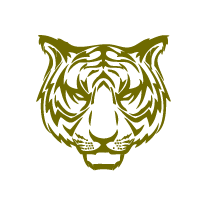 Universally, the tiger is a symbol of power and strength and can also be a power of destruction and violence. The Chinese have images of tiger in their charms when casting away evil spirit.